Sound can come in many forms… from how a product “sounds” to how an advertiser finds a unique sound cue. Think about the sound of turning on your computer. Over several generations, Apple products have had the same sound when booting up. So we have become familiar with it, and know that when we hear it… everything is as it should be. Or listen to how a unique sound in commercials can become so familiar… the Intel Inside note progression literally communicates the words “Intel Inside”. NBC does the same. There are four distinct sound strategies. The most common are FUNCTIONAL CUES that indicate a product is working. The Apple computer example above has a typical starting “bong”. Telling the user that the system is booting up as it should. 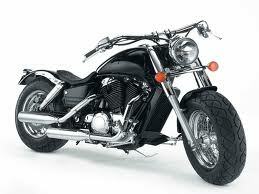 Or the well thought out and engineered rumble of a Harley-Davidson. That sound is easy to tell blocks away. And it is no accident. It is both a functional and image cue at the same time. Second are BARRIER CUES. Those are sounds of a product or it’s packaging that mitigate a potential negative. A recent Wall Street Journal article by Ellen Byron highlights several examples, including P&G’s Tampax Radiant, that has a textured plastic wrapper that won’t make a loud crinkling noise when opening. This was based on research that women, especially teens, try to keep private their activity in public restrooms. Third are IMAGE CUES. These are sound cues that are consistent with the image a brand is trying to communicate. Volkswagen is doing this with their Jetta… engineering a solid sounding “thunk” into their door to communicate that the car is well built. It is an interesting and copy-cat brand tactic following the legendary BMW door closing “thud”. BMW spends an enormous amount of money on creating a consistent sound of the doors closing on all of their products. Fourth are INNOVATION CUES. These are new sounds that perk up our ears when we hear them for the fist time, and signal something new has happened. Kit Kat successfully used the crunch sound (when the product is snapped in half) in their advertising. While it was intended to be functional… it was also a new sound that is now part of the Kit Kat brand. How smart to use an intrinsic product characteristic and own an innovative sound in a category. One of the most interesting areas where sound will play a very important role will be in mobile devices. We are in an enormous period of transition where, in the very near future, your mobile device will be your main connection with the world. It will be used for all financial transactions, as well as sources of content. To get ahead of the curve, some companies will begin to think of sound as a differentiator as they develop their offerings. Great challenge, but imagine walking past a McDonald’s and the store sends you a text about free French fries if you buy another product. Should that communication have a sound? Does McDonald’s have an auditory cue? Take it one step further. Perhaps the communications should be auditory and not in text form. If so, should each brand have it’s own sound or tone? Unique sounds can span any part of the product, marketing and communications mix. To be most successful, they start with understanding the consumer and their needs. With that knowledge, specific strategies can be pursued, and ultimately new sounds can be created to strengthen a brand in the minds of target consumers. Sounds can be engineered into a product and it’s packaging, or incorporated into the integrated program surrounding marketing and communicating a product. In the age of parity marketing, sounds are just one way to drive a more unique brand proposition. Think of sound as an auditory touch point. The best brands take the time to step back and assess whether sound is one tool to give their brand a leg up over competition.